Circa 1754. Surrounded by rolling hills and cornfields with stone walls in an historic village, this three-story New England Gambrel Colonial sits on more than one acre of lush landscaping with grass, flowers and a 300-year-old maple tree. Listed in the National Register, the bed and breakfast has been recently renovated and boasts hand-hewn beams and an authentically rebuilt seven-foot-wide staircase. Relax on the three-story deck or in the keeping room, library or fireside dining room. A guest refrigerator is stocked with complimentary soda, wine and beer. Dessert is an indulgence at any time of the day. Guest bedrooms feature canopy beds, open-beamed ceilings and bedside sherry. 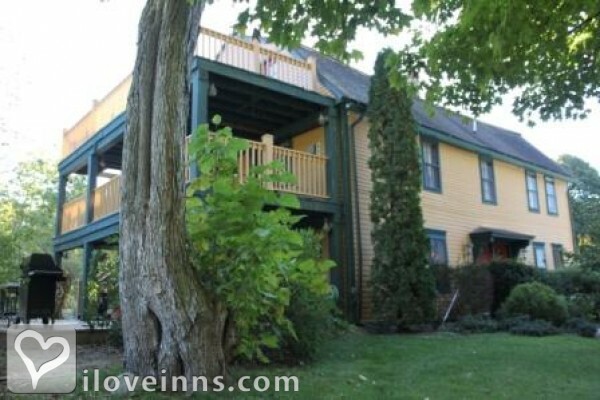 The adjacent Avery House offers two additional rooms with wood-burning fireplaces. Linger over an all-you-can-eat country breakfast each morning. A certified massage therapist is available. Payment Types Accepted Include Travelers Checks, Master Card, Discover, American Express, Visa and Cash. 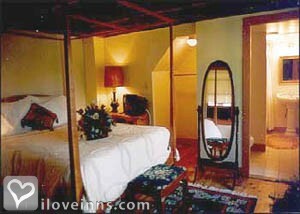 This property has 7 total guest accommodations with private bath, 5 with fireplaces and 1 conference room. The types of beds available include Queen, Twin and Double. Spa Packages: With a business card from Captain Grant's you will get a 30% discount at Red Door Spa in Groton, CT. Prior arrangesments must be made. There is an extra $25.00 fee per visit. Pets cannot be left alone in a room unless caged. The rooms fill your senses with sites to see, birds to hear chirping, the best beds to cuddle in, warm fires, good cheer and a glass of wine. 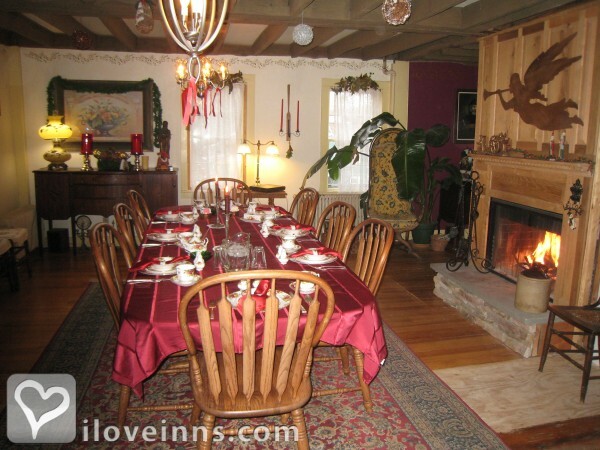 Connecticut Innkeepers, Bed and Breakfast of Mystic Coast,, Connecticut Country Inns. We are surrounded by rolling hills and corn fields on two sides. We have stone walls,lush grass, flowers and a 300 year old maple tree. Holidays require a two-night minimum as well as Saturdays during high season. If younger than 6 prior arrangements have to be made. You have 24 hr. to cancel after making a reservation. After 24 hrs there is a $50.00 charge per room. If a reservation is cancelled within 7 days of the reservation date a full charge will be made to the credit card. When booking multiple rooms a separate cancellation policy is used. 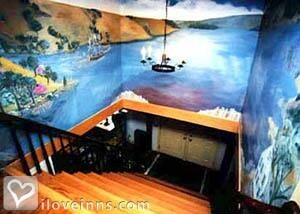 The inn was built by a ship's captain in 1754 and is in a village named in 1687. It is about 90% authentic in structure. The inn was used briefly as a garrison in the Revolutionary War and protected slaves in the Civil War. Belle Fiore, Modesto's, Cedar's at Foxwoods. 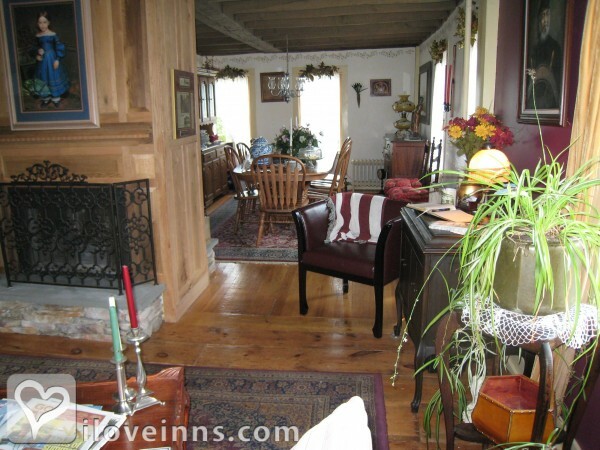 The property is very charming and has some historical beauty and interest. The owners were very pleasant and accommodating. The cleanliness and repair were lacking unfortunately. There were cobwebs in our room(The Adelaide)and loose faucet handles. The breakfasts were lovely though. Another great Stay. My husband and I stay here frequently as we live in the region. Our favorite room is Adelaide. We have always found this room to be very clean and enjoyable. Our last stay was in the Elizabeth room which was also very wonderful. Breakfast and the new pool room are the best. The Innkeepers make you feel like family. Can't wait for our next stay!!! If you like it cooler when you sleep... keep the fireplace turned low. What a wonderful place. My husband and I traveled from North Dakaota and feel we made a great choice by picking Captain Grants as our place to stay. The location and hospitality were unbeatable. We would love to stay there again, but maybe longer than three days next time. We had a beautiful weekend. The house is gorgeous and well-decorated and feels very homey. It's very affordable, and you get so much value for your money. The breakfast is a real homemade breakfast, and it's always delicious, and certain beverages and alcohol are free all day. Ted and Carol are so wonderful and they're incredibly helpful. We always looked forward to returning at the end of the day! There's a little bit of noise from the room above if anyone is staying there. Not terrible though. Maxim Magazine Best Romantic Inn, USA Today one of ten best for Halloween, Boston Globe place to visit in October, bannered by MSNBC.com as a recommended place to stay, Netscape and Compuserve Top Best Buy in a B&B, HGTV, Canadian radio stations live interviews, recommended as a place to come and visit in October for Canadians.